Hi guys! 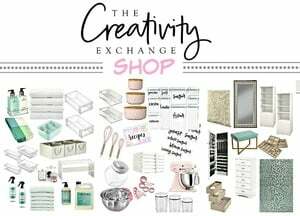 It’s Jenny, from Evolution of Style, and I’m so happy to be back again talking paint on The Creativity Exchange! This month I’m talking about General Finishes Milk Paint – I have been using a lot of their products lately for furniture projects, and I have really been loving what they have to offer in terms of colors and the quality of their paint. There’s a big selection of colors that are a mix of classic and fun all at the same time, which is a nice combination, depending upon the direction you wish to take your furniture. Plus, the colors are mixable – so you can create your own custom colors as well. According to the General Finishes website, –General Finishes Milk Paint is not a true “casein based milk paint” but a modern version of old world paint with a strong mineral base, it is fabulously adaptable & UV resistant. 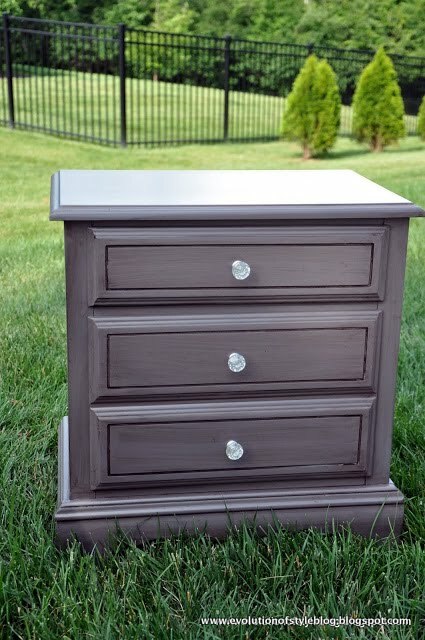 Milk Paint can be used indoors or out & applied to furniture, crafts, and cabinets. Easy to use – consumers can hand apply or professionals may spray. It is the furniture paint with soul-. Unlike some brands of milk paint that comes in a powder form that you have to mix yourself, General Finishes Milk Paint comes already pre-mixed to the ideal consistency. You can always thin it with water to dilute and make it more like a wash. It’s so much easier to use this way but you still get that gorgeous milk paint finish. It goes on just like regular paint and can be sprayed too. The finish is stunning and very easy to attain with this paint. 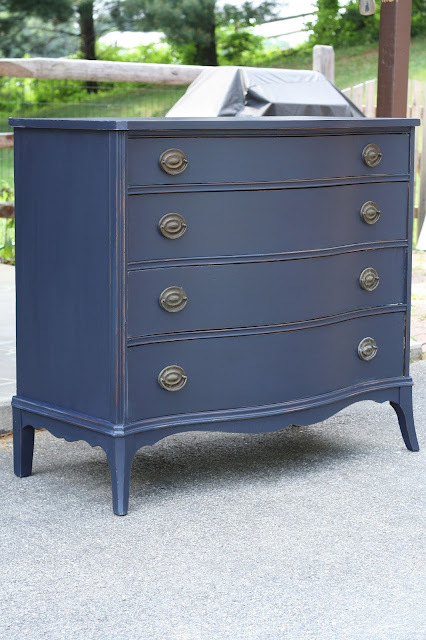 Right now, General Finishes has 28 milk paint colors and the paint can either be purchased online on Amazon here or there is a searchable map on their website to find the nearest retail location here. Speaking of colors and finishes, let me show you just want this milk paint can do. Coastal Blue is becoming a fast favorite of mine. It’s the perfect shade of navy blue. 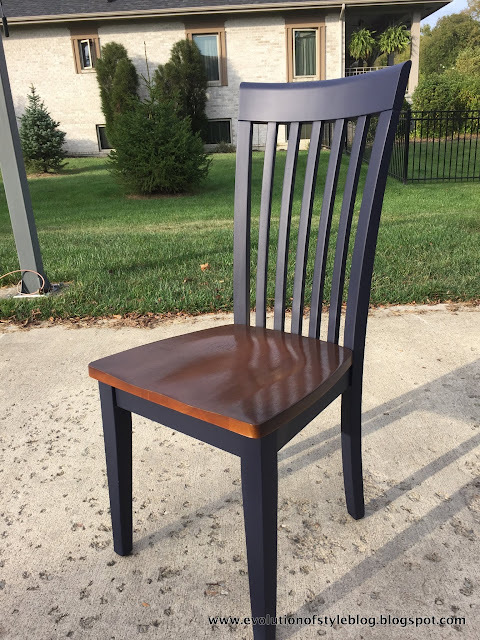 I recently refinished a table and chairs for a client, and used Coastal Blue for the frame, with a walnut stain for the seat. 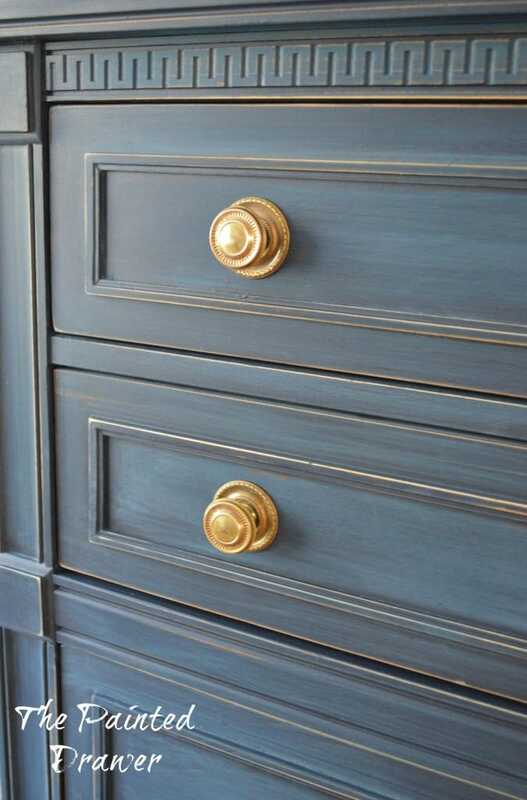 You can add even more depth with the use of a glaze, like this dresser from The Painted Drawer. Gorgeous, don’t you think? The hardware really makes the whole thing pop, not to mention that beautiful carved detail. 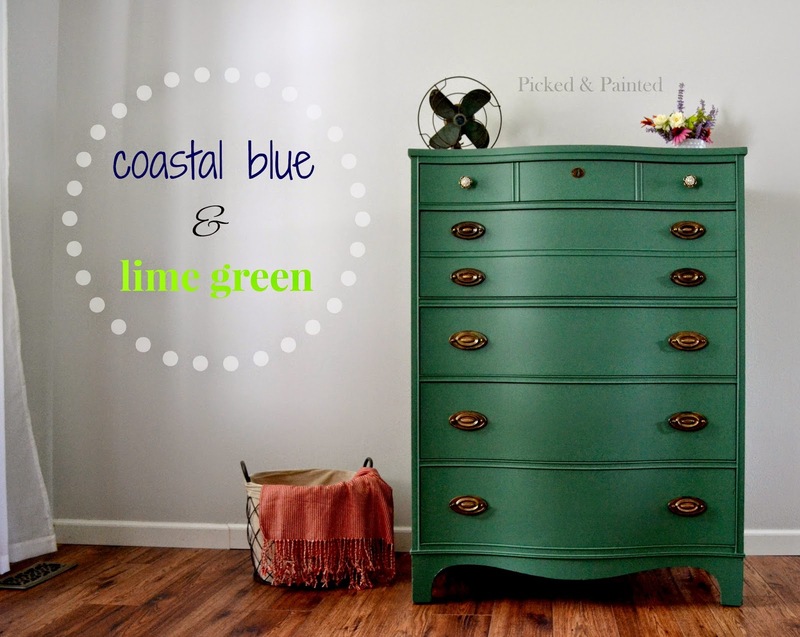 I think this is one of my absolute favorite Coastal Blue dresser makeovers. Cassie at Primitive and Proper knocked this one out of the park. Lamp Black is another color that gives a furniture piece a classic vibe. 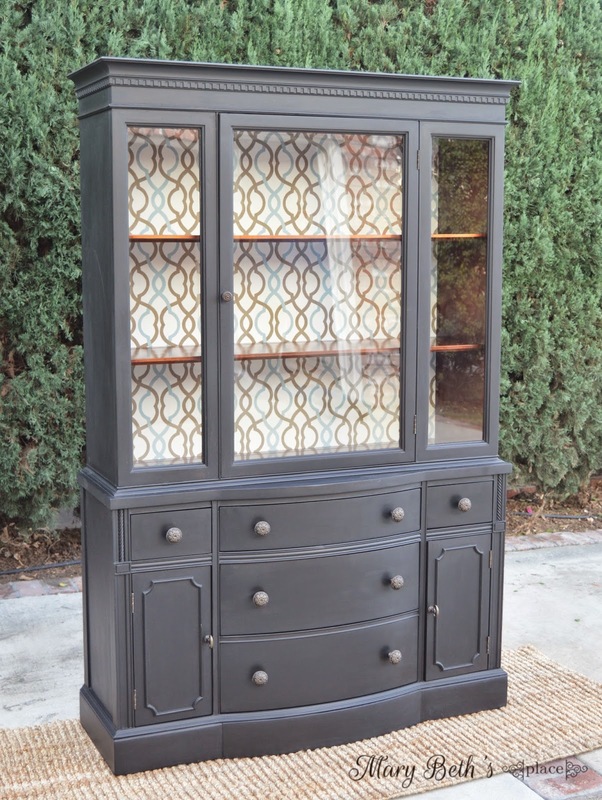 Look how this vintage china cabinet from Mary Beth’s Place was given a new lease on life with Lamp Black, along with the addition of a graphic print along the back. Beautiful! I just finished a beat up, old desk in Lamp Black, and it’s at the top of my list if you’re going for a classic look. General Finishes also offers a variety of stains, and I topped this desk with their Walnut Stain. It’s the perfect shade – not too dark, not too light. 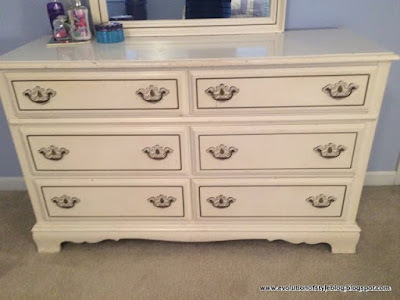 I transformed this princess dresser and nightstand using General Finishes Driftwood Milk Paint and a glaze over the top. Not your little girl dresser anymore. If you want to get a bit more whimsical, there are lots of options there as well. 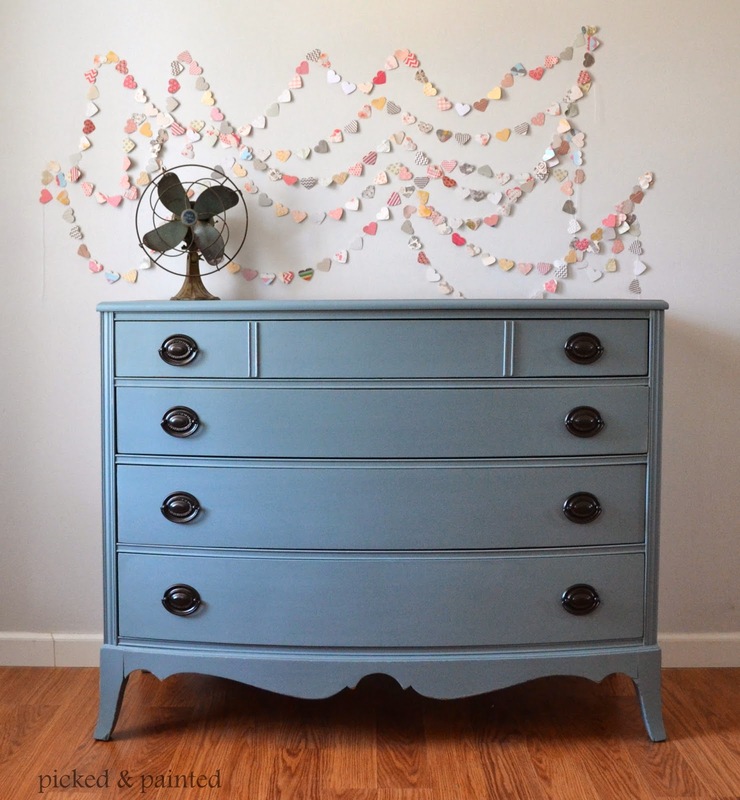 I’m a smitten kitten for this dresser from Helen Nichole Designs (formerly Picked and Painted). I mentioned that the General Finishes paints are mixable, and this is a great example of how you can create whimsical colors on your own. What a great statement piece! Speaking of statement pieces, how about this beauty from The DIY Club in General Finishes Red Pepper milk paint? Sometimes you just need to go big, or go home. And then there’s this beauty (also from Helen Nichole Designs – can you tell I’m a huge fan?). 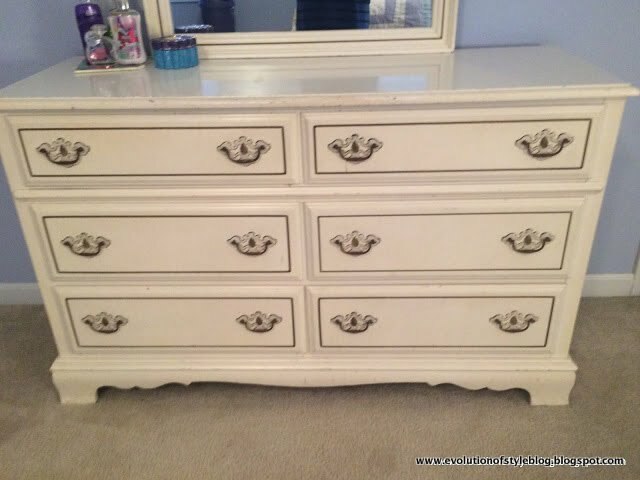 I love the style of this dresser, and it’s taken up a notch with the paint color. Helen got creative by mixing some of the paint colors, creating a custom blend. This desk is two parts Basil Green to one part Halcyon Blue. If you’ve never tried milk paint before, General Finishes Milk Paint is the perfect paint to use for the first time. If you have you tried General Finishes Paints, do you have a favorite color? 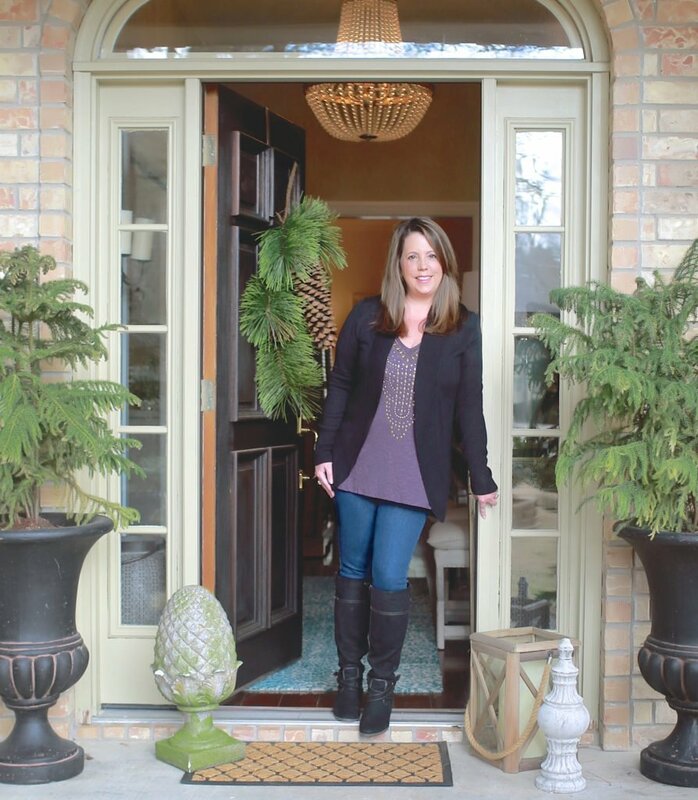 Come on over and pay me a visit at Evolution of Style – I’d love to have you! Jenny, thank you so much for sharing my pieces! I love mixing colors . All these examples are beautiful. I have heard so many positive remarks about General Finishes. One blogger said she had used many different brands of paint and said this is her all time favorite and she always goes back to it. You’re right, people sure really seem to love it. I have never used it and knew that Jenny loves it, so I’m thrilled that she shared this with us. I love traditional milk paint, so I can’t wait to try it! Thanks for your note Debbie! thank you so much for including some of my work here! What are the advantages of using milk paint rather than, say, chalk paint or traditional latex? What kind of prep work is required? I love General finishes paint! The only issue I have is using the Snow White and having brush strokes. I use several of there colors, but that is the only one that gives me trouble. Any suggestions? Great post! 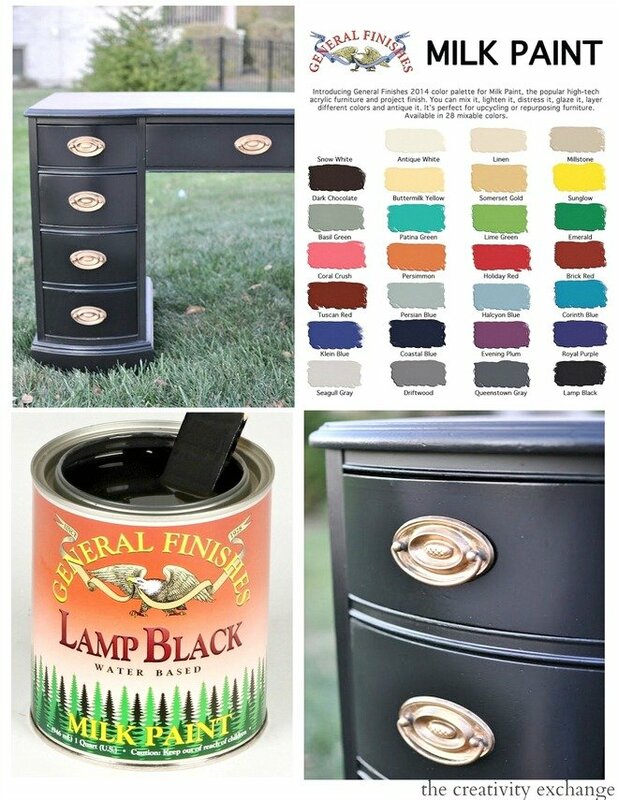 I’m very inspired to try General Finishes Milk Paint. Please tell me what type of a glaze was used on the pieces. Also, is it necessary to put a poly on after using a glaze? Thank you! Can I use a foam roller to apply the Milk paint on large areas on my bathroom cabinets? What method do you use to apply the paint? I just painted a nightstand with the persimmon color. It is blotchy and the color is inconsistent. Used chalk paint on another piece of furniture and it turned out perfectly. I am so bummed….I feel like just dumping the nightstand at the Goodwill. Not sure it can be salvaged…. 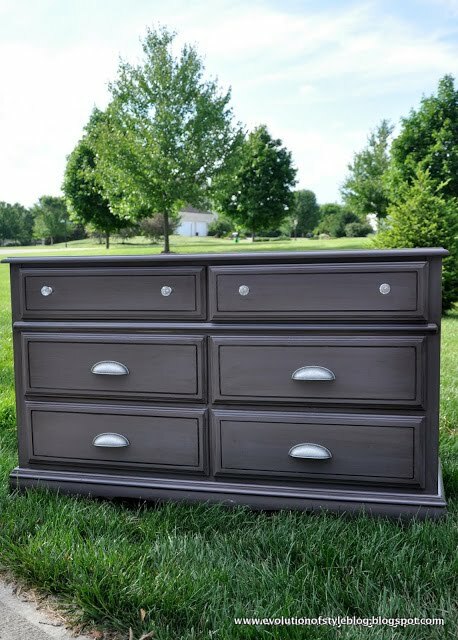 What is the glaze that you used on top of the driftwood grey for the dresser & nightstand? And can you pls give me some details on how it was applied? Thanks! I’ve decided on General Finishes Milk Paint for my first project. I am painting a china cabinet and it has a mirrored back. Can I paint the mirror? Love the Driftwood color and how it came out. 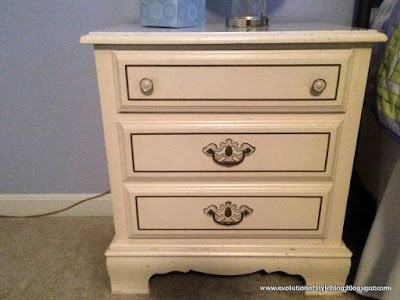 What did you use for a glaze over the driftwood on the bureau and night stand? And how did you apply it? Beautifully done!